St Mary Redcliffe is blessed with beautiful architecture and is fortunate that any change in recent times has been undertaken sympathetically. 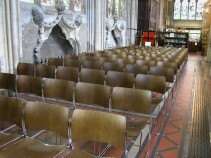 The pews are an important factor in the look of the church but there are many occasions when additional seating is required. At festivals and for school services there is sometimes a requirement for seating for around 900 persons. 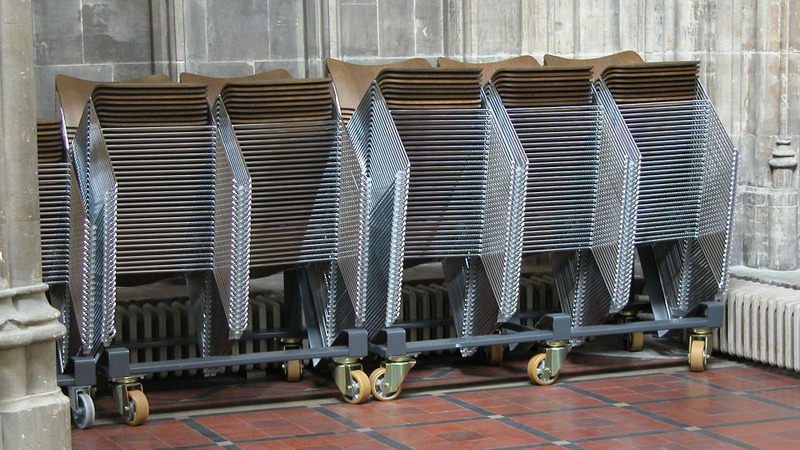 It was therefore really important that when the need to replace the old plastic chairs had been identified, this was dealt with sensitively in order to maintain the visual experience which congregation and visitors enjoy. After much research the Howe 40/4 chair was selected as it fulfilled all the criteria – they are light, can be linked together and easily stacked in a very small area on their own trolleys. 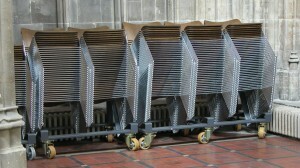 Whilst these chairs were the ideal solution, they were more expensive than some of the alternative options. The Church was therefore extremely grateful when the Temple Ecclesiastical Charity agreed to make a significant grant towards the overall costs. The chairs are in constant use, enabling a much more diverse use of the space. The support that Temple Ecclesiastical Charity gave to this project is greatly appreciated.